Carry around your toiletries and bathroom stuff in a Toiletry Bag that looks Marvel-ous! The bag features a fun design with Deadpool. 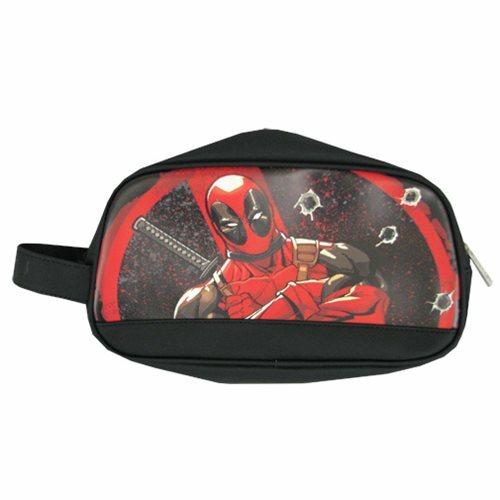 The Deadpool Toiletry Bathroom Bag is a must have for fans of Marvel Comics Deadpool!